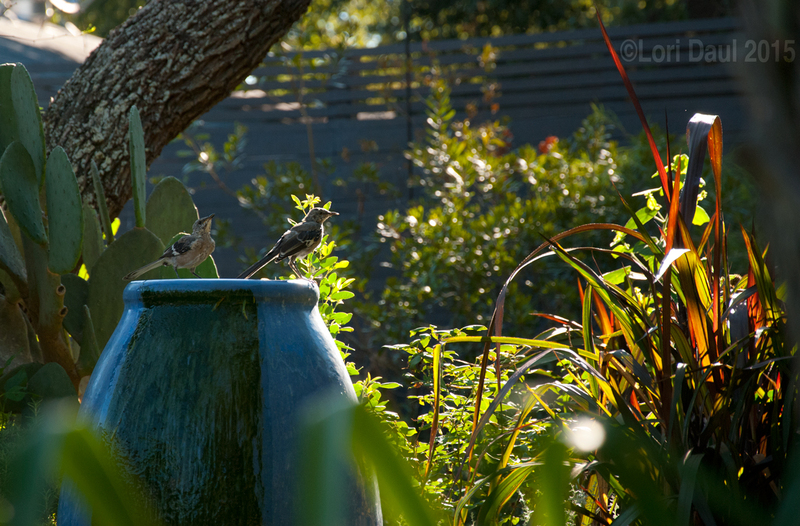 Swapping out the old fountain for a taller one with a shallow basin and more gentle flow has brought all the birds to the yard. I really miss the sound of the old fountain, but this is a tradeoff I’m willing to make. ETA: I’m entering this picture in the Gardening Gone Wild Picture This Photo Contest. Thanks for submitting to the Gardening Gone Wild contest Robin. Love this point of view – peering through the shrubbery to see the birds; and putting them off center is perfect. I think you could have come in, or cropped in a bit tighter and eliminated the distraction of the upper left bring area.